Terranova Funeral Home is situated between the communities of Point Breeze and Pennsport, quite close to the Theater of the Living Arts and Kimmel Center. The funeral home is within three to five miles' distance of two cemeteries. The spacious red brick corner building is fully handicapped accessible and offers families an intimate setting it its visitation rooms. The family-run business has served the South Philadelphia and Haddon Heights communities for more than 98 years. Offering full funeral services that include immediate burial and direct cremation, the business began with funeral director Charles Iredell in Haddon Heights in the early 1900s. In 1918, a second location was added: the South Philadelphia funeral home still used today. The business was later purchased by a number of different owners, until it was eventually sold to Mr Leonard Terranova in 1992. Today Leonard's son, Leonard J Terranova Jr., manages the funeral home, providing a wide range of burial and cremation options. 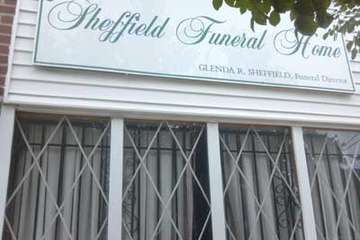 These include embalming, a bespoke graveside funeral service, green burials and aftercare programs with optional counseling to help grieving families. The prices below are based on the General Price List for Terranova Funeral Home. However, funeral homes sometimes have special pricing packages available, and you should ask if those are available. Please let the funeral director know that you found Terranova Funeral Home on Parting.com to allow us to continue helping families like yours. The funeral directors at Terranova Funeral Home are available to provide you with expert advice.